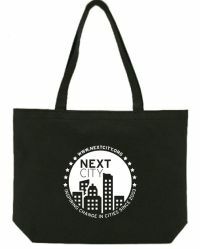 Your donation helps Next City report on solutions for cities. Join 752 other sustainers contributing $2,469 per month! Already a member? Login to update your profile or cancel a recurring donation. Your contribution will help us meet our spring membership goal of just $7,000. Donations until April 30, 2019 will go directly toward paying our urban affairs intern stipend for a journalist of color and managing the internship program. If we meet our spring membership stretch goal of $10,000, our journalists will be able to do even more, including publish a special issue ebook and booklet devoted to reporting on solutions for greater representation in every sector. If we meet our stretch goal, Next City will mail a printed edition of the booklet to you and inside you will be thanked by name unless you choose to make your donation privately. Free gifts cannot be shipped to locations outside of the United States, Canada and Mexico. On occasion we may display the names of our members and supporters on our website. If you wish to keep your membership private, check this box. U.S. donations are tax-deductible minus the value of thank-you gifts. 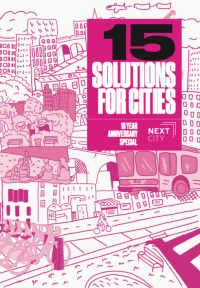 “15 Solutions for Cities,” Next City sticker and ebooks. 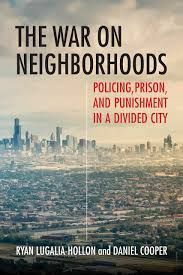 “The War on Neighborhoods,” sticker, and ebooks. 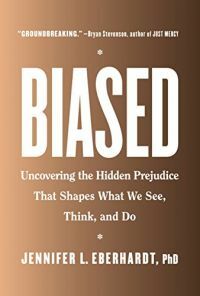 “Biased: Uncovering the Hidden Prejudice That Shapes What We See, Think, and Do,” sticker and ebooks. Tote bag, “Biased,” sticker and ebooks.